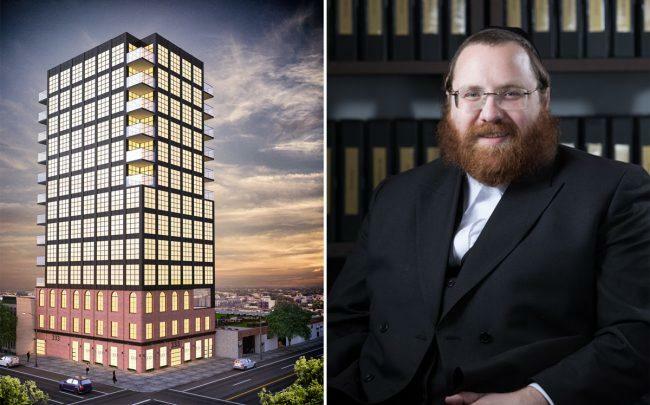 A Brooklyn developer has filed plans for a 13-story building in Bushwick, one of the tallest in the neighborhood. CW Realty, a Williamsburg-based developer, is planning a 70,000-square-foot mixed use building at 333-335 Irving Avenue, according to a source. The building would contain 71 units spanning 60,000 square feet, and a 10,000-square-foot retail portion. It is not clear if the project will be rentals or condominiums. A representative for CW Realty declined to comment. Last May, the firm bought the development site — which houses a warehouse and vacant lot — for $11.5 million from metal products manufacturer Standard Tinsmith & Roofer Supply Corporation. Residential developments are sprouting up in the neighborhood at an increasing rate. Yoel Goldman’s All Year Management is nearing completion on its 433-unit building at 123 Melrose Street, the former Rheingold Brewery site. Another project, the 41,000-square-foot luxury residential building at 951 Madison Street in Bushwick was listed on the market in October for $34 million by its developers, Broadway Bushwick Builders. Led by Cheskie Weisz, CW Realty is nearing completion of its Williamsburg rental building at 187 Kent Street. The firm secured a $78 million construction loan for that project in January 2018, and will contain 96 units. Founded in 2001, the company says it owns dozens of buildings in Brooklyn and Queens, including 61 North 11th Street, 119-123 Kent Avenue and 292 Bedford Avenue.